Tanitoluwa Adewumi just said checkmate. 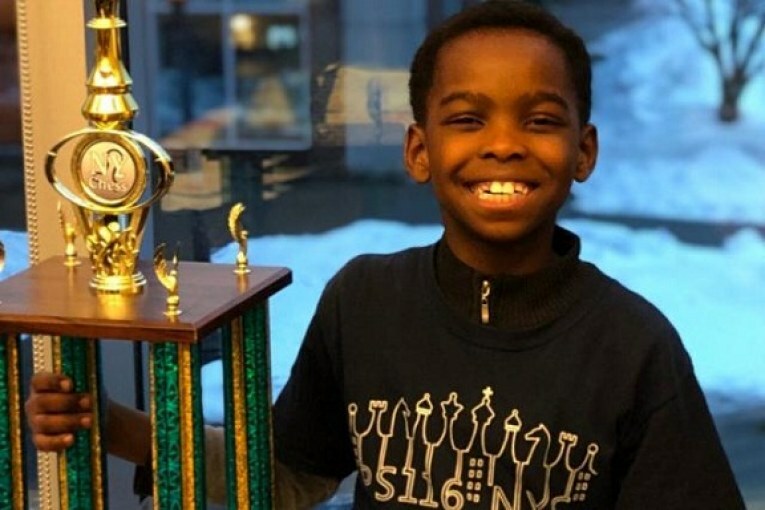 Despite learning the game a little over a year ago, the 8-year-old boy — homeless refugee from Nigeria — was crowned the New York State Primary Chess Champion in the kindergarten-to-third-grade bracket of the 52nd New York State Scholastic Championships. The elementary school student, better known as “Tani,” went undefeated at the championships, where he outsmarted opponents from top private schools with pricey chess tutors. “I want to be the youngest grandmaster,” Tani told the New York Times. Tani is well on his way to achieving that goal, as the third-grader has already established an unwavering dedication to improving his chess prowess. 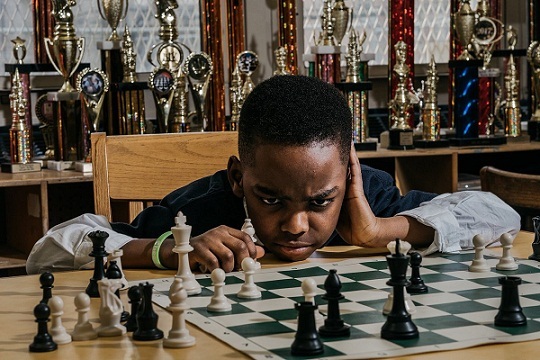 His mother, Oluwatoyin Adewumi, reportedly takes him to free three-hour practice sessions in Harlem every Saturday, while his father, Kayode, allows him to play chess online on his laptop each evening. “He is so driven,” his school chess teacher, Shawn Martinez told the New York Times. “He does 10 times more chess puzzles than the average kid. He just wants to be better.” Martinez estimates that the youngster could achieve the chess master title in one to two years. The youngest chess grandmaster to-date earned the prestigious title at the age of 12. In the brief year since Tani was first introduced to the game, the chess whiz has already collected seven trophies, and is one of the top players in the country for his age group. However, his path to becoming the New York State Primary Chess Champion has not been an easy one. Tani and his family fled from their home country of Nigeria in 2017, fearing the persecution of Christians by Boko Haram terrorists, reported theNew York Times. After arriving in New York City to seek asylum in the U.S., with his parents and older brother, the family soon moved into a homeless shelter. Tani began attending local New York elementary school P.S. 116, where he discovered his passion for the strategic board game. Tani begged his mother Oluwatoyin to allow him to join the chess club, but his family was unable to afford the costs of the membership. After she sent an email to the chess program explaining their situation, Russell Makofsky, the man who oversees the P.S. 116 chess club, decided to waive Tani’s fees. According to Makofsky, the costs of the chess club can surpass the thousands with travel and chess camp admissions. Shortly after Tani won the New York State Primary Chess tournament this month, Makofsky started a GoFundMe campaign to help support Tani and his family as he prepares for the elementary national championship in May. Since starting the GoFundMe page on March 15, the campaign has exceeded its goal of $50,000, raising over $103,400 (and counting). Makofsky has received countless notes offering the Nigerian refugee family jobs, legal services, places to stay — and even a car for Tani’s father, who works as an Uber driver.